Again, I am amazed at genre crossing artists like Beck, who chose to collaborate with one of my favorites: Jack White. I must say, had I not heard, “I Just Started Hating Some People Today” on 89.3 The Current, with DJ introduction, I would have hardly imagined it was created by Beck. With its country style guitar and cynical, but realistic message. I imagine beck as some cool kid making sick dance beats, or songs I can completely use my imagination on. These are good things, but this new song was also good, in a different way. I love blues. I could completely relate to the lyrics. And it was crisp sounding and very straightforward. We have all felt like killing someone at some point in our lives, yet this song is more on the Vonnegutesque dark humor, enjoyable, sort of, side of that feeling. I could almost hear a smile, but Beck’s gritty vocals did not come off with the Beck style I had come to appreciate. It was a bit different, but not different in a bad way, just different, and solid. Something I had not expected; unexpectedly sufficed by a random song on the radio. 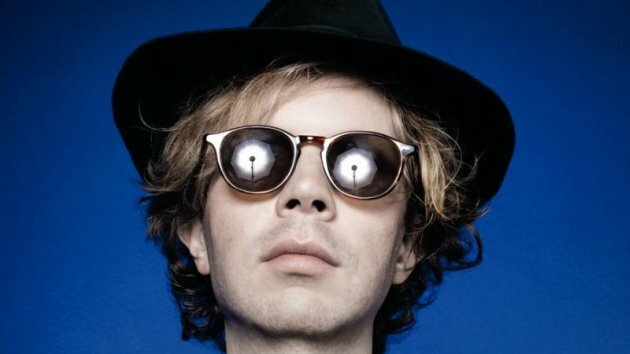 Beck has come into the realm of blues and he has successfully produced a single. I am looking forward to hearing more. These two artists (Beck and Jack White) are made for progressive blues/country rock. I was subtly surprised with the dark vocals and country twang, but I must admit I was satisfied with the sound and think it progressive. I would enjoy hearing other new material. Furthermore, what I thought was just as amazing as the song was the collaboration with Jack White. I could tell immediately that Jack White was on the track; with guitar slides, moderately heavy and catchy riffs. The slide guitar solos were a plenty but not excessive, I could listen to any of The White Stripes’ albums for days, specifically because of the guitar solos and garage rock aspect. I had no idea that Jack White and Beck had collaborated in the past, but with a little research I became learned. Earlier collaboration on Guero’s ‘Go It Alone’ between Beck and White were drastically apparent by the sound. Happy to know that real musicians are still making real music. Unique and relevant artists creating gems together has me in high hopes about the music to come. Third Man Records seems innovative and growing. Beck’s new musical sound and approach appeal to me especially with Jack White at the Helm, and because it sounds excellent on the radio. Jack White is a guitar virtuoso to say the least, and is one of the most innovative artists of our time, the latter goes for Beck as well. I am satisfied with the exposure of sound while driving around with the station dialed in. 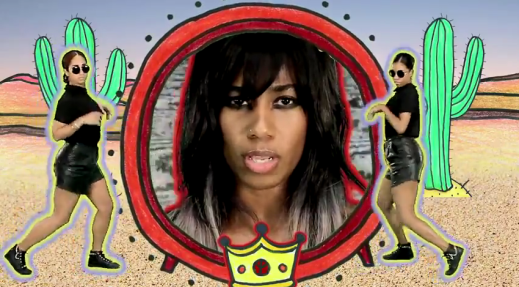 Santigold has finally named her much-anticipated second album Master of My Make-Believe. This album took awhile to write because she is such a perfectionist and her hands are on every aspect of her music. Santi White is the Queen B of the operation that used to go by the name of Santogold until a supposed legal allegation came about and forced the name change. The “Big Mouth” video was released yesterday and features her famous militant dancers. These dancers are why I enjoyed the Santigold show as much as I did back in the Summer of 2009. “Big Mouth” is also available on her site for download. All you have to do is sign up for her mailing list and if you have ever listened to her music, that is a no brainer.